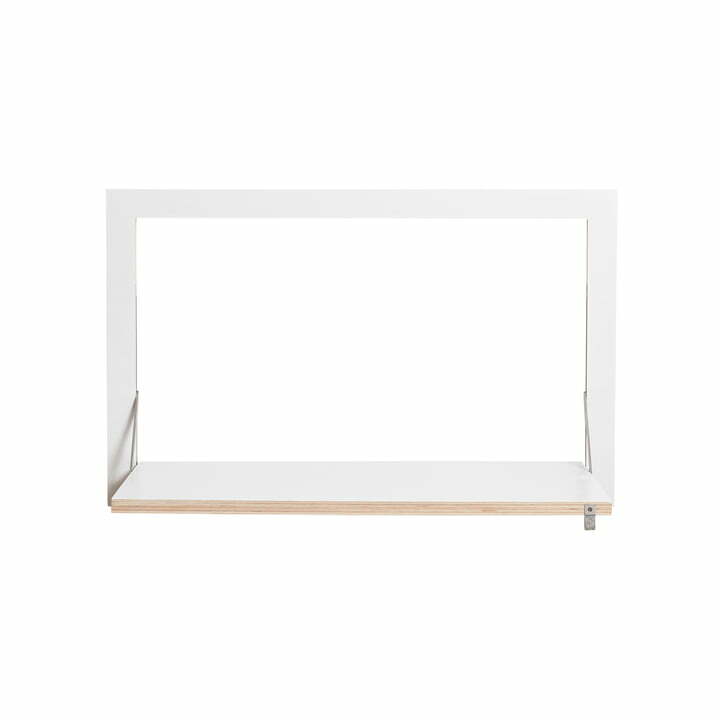 Fläpp's Ambivalenz Secretary is a functional and space-saving wall secretary to unfold. Suitable to mount at any height, it is ideal as a sitting or standing desk. 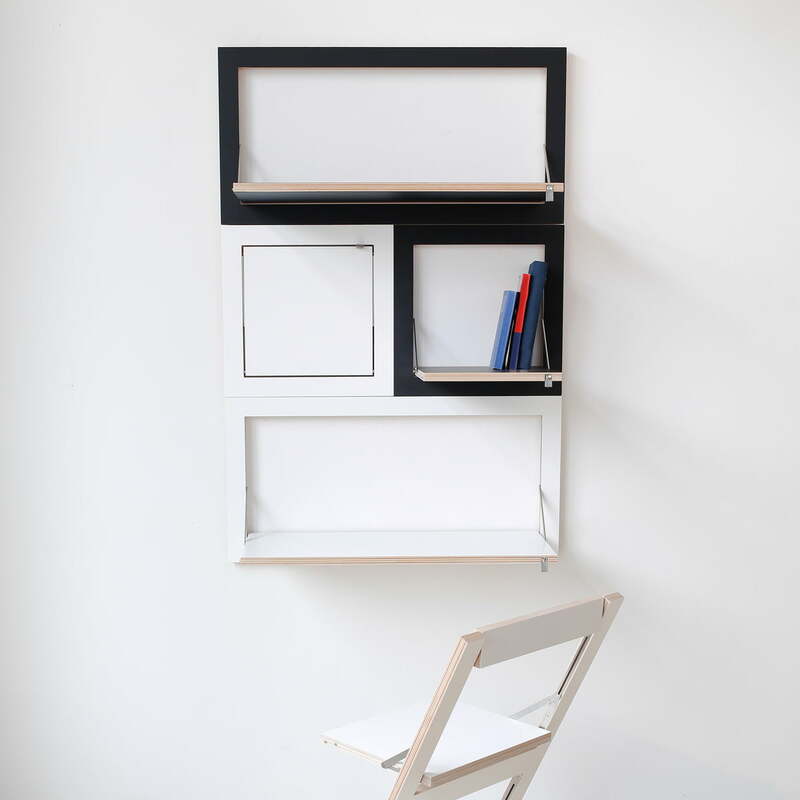 When folded up, the wall secretary impresses with its extremely flat surface of only 3 cm in depth. 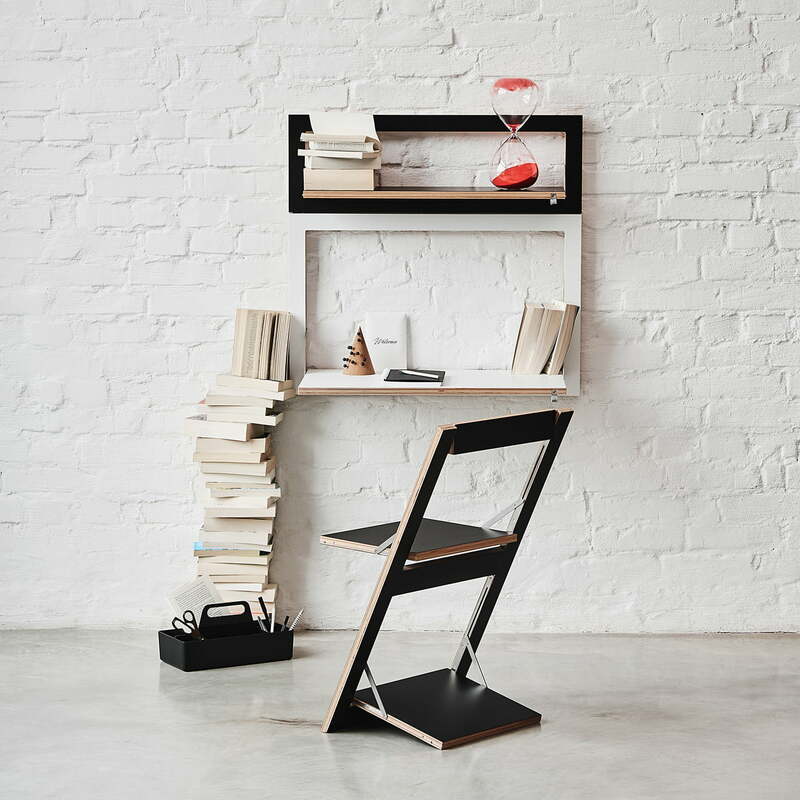 When opened, the secretary becomes a truly multi-functional piece of furniture. Fläpps Secretary can be used as a desk, dining table, arts and crafts table and much more and offers a work surface measuring 40 x 70 cm. 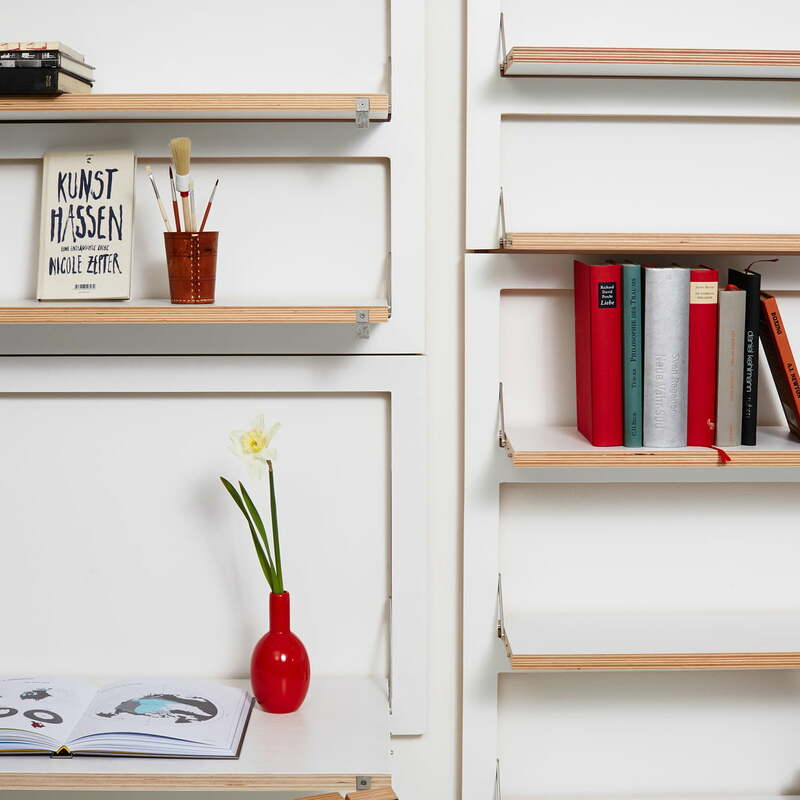 The wall secretary is made of FSC-certified multiplex birch, while the folding functions are made of stainless steel. 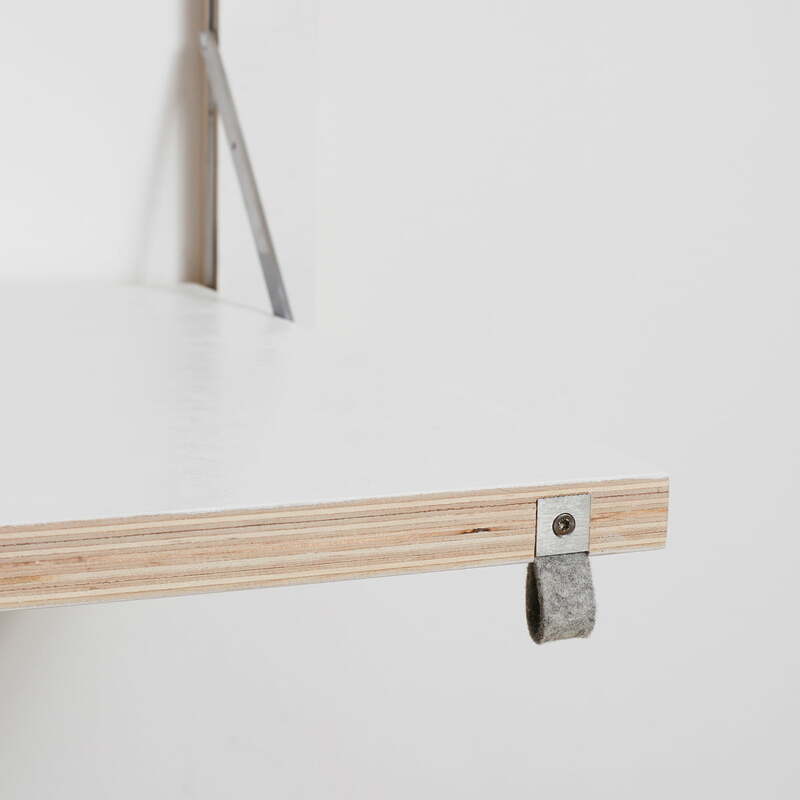 A small loop of felt makes it easier to unfold the work surface. The upper surface is lacquered by hand and is thus available in various colours and motifs. In white, for example, the secretary fuses with the wall of the same colour, while a secretary with a motif is folded in and becomes a decorative picture on the wall. 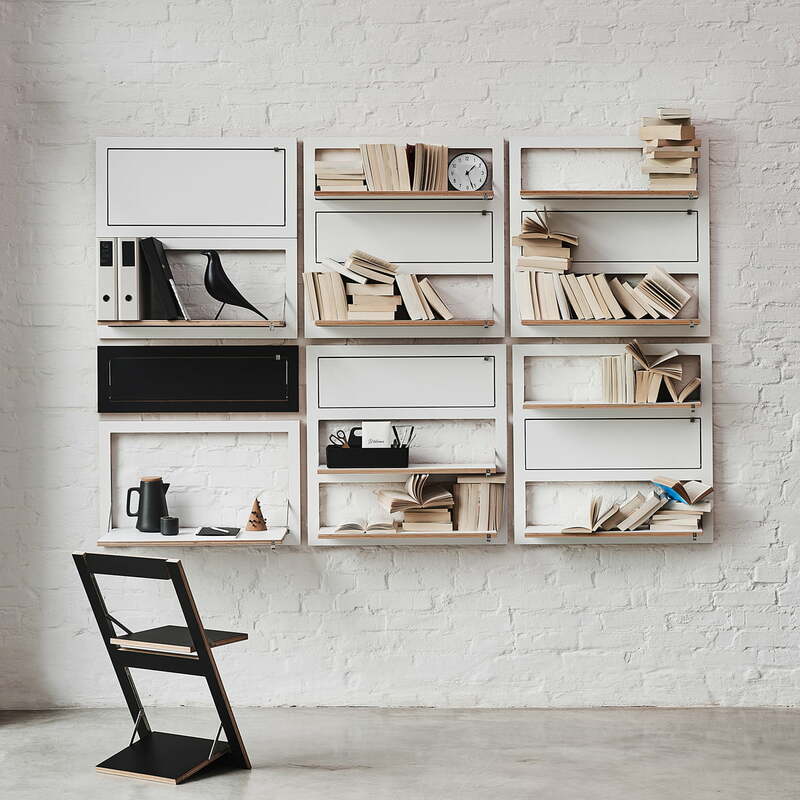 Lifestyle product image of the Fläpps secretary with Fläpps folding chair by Ambivalenz. 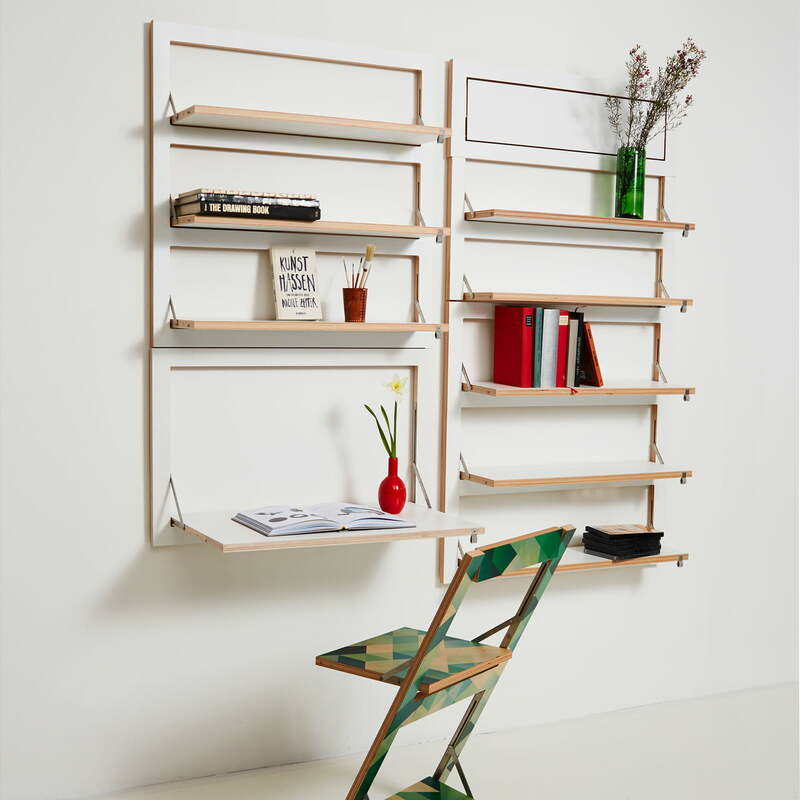 Folding chair and wall secretary become a space-saving workplace.